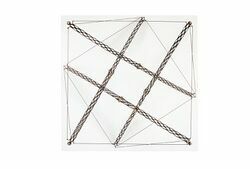 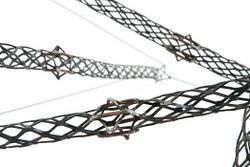 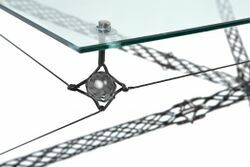 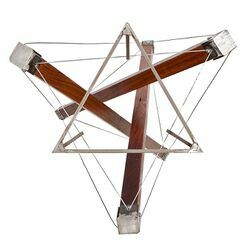 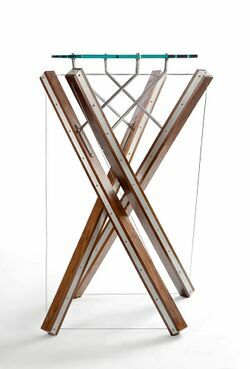 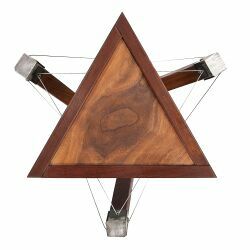 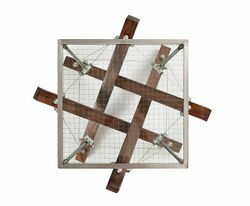 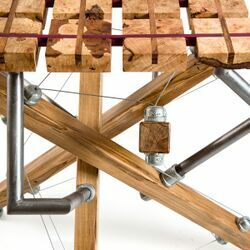 Read here about a furniture deisgn studio that, among their works, produces tensegrity-based furtniure. 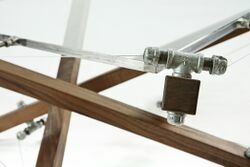 Axel Yberg founded Akke Functional Art to create a modern furniture design studio dedicated to exploring the dynamic between natural and industrial elements. 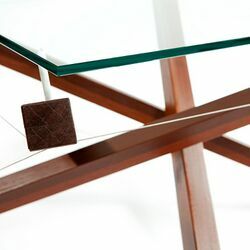 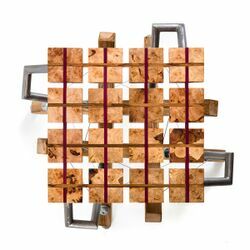 Akke designs incorporate both finished and live edge slabs of wood with metal, glass, and stone. 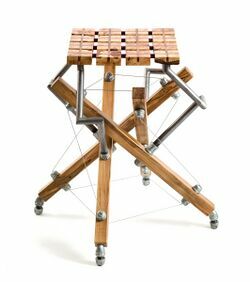 Each piece is built to serve a practical purpose and add a unique element of modern design to both residential and commercial spaces. 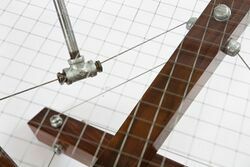 The studio is located at 12b School Street, Northport, New York 11768 (Oct 2014). 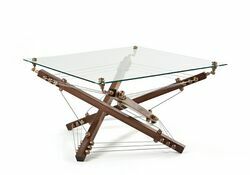 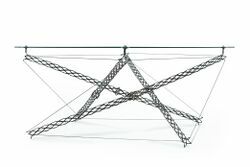 Since its founding in May 2010 the studio has produced many tensegrity-based tables. 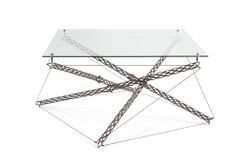 3 strut table, Ken Spot by Akke Functional Art. 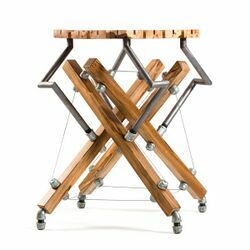 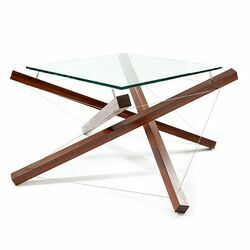 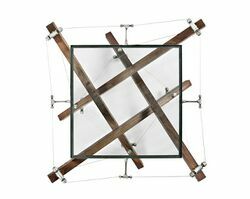 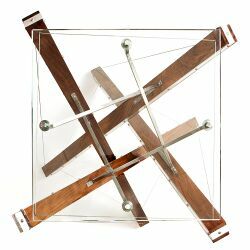 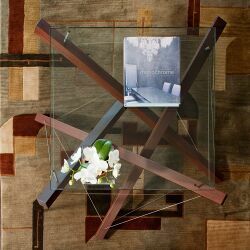 4 strut Fourth Dimension table by Akke Functional Art. 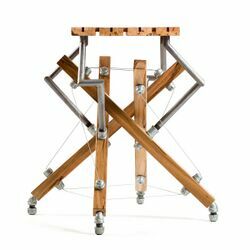 4 strut table, Fourth Dimension by Akke Functional Art. 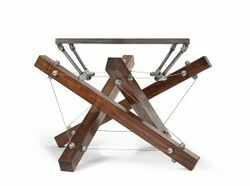 4 strut table, Arabica Nebula by Akke Functional Art. 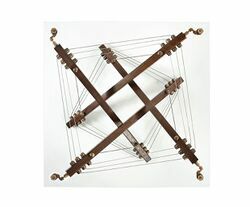 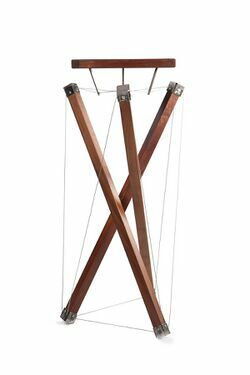 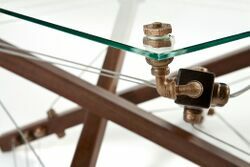 4 strut table, Bo Biddley by Akke Functional Art. 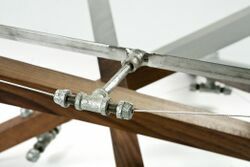 4 strut table, feet Feet on the Ground, Head in the Sky by Akke Functional Art. 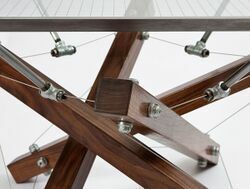 4 strut table, Kinect Four by Akke Functional Art. 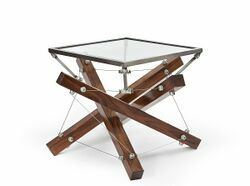 4 strut table, Pigeon's Nest by Akke Functional Art. 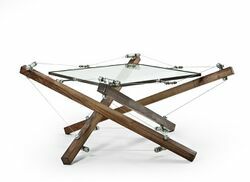 4 strut table, Reverse Dowry by Akke Functional Art. 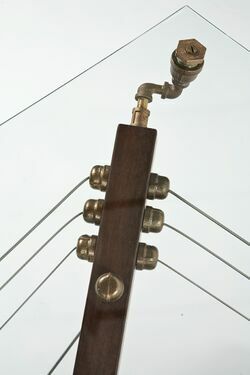 This page was last edited on 1 October 2018, at 19:03.